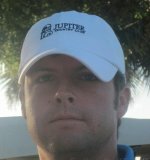 PALM BEACH GARDENS, Fla. – Will Coleman of Palm Beach Gardens, FL birdied the first extra Monday to earn his 11th victory on the Minor League Golf Tour. Coleman outlasted Max Gilbert of St-Georges, Quebec, after they tied at four under par 67 on the Estate course at PGA National. In the playoff, both reached the green in two at the par-4 first hole. Coleman sank a 15-foot putt for birdie, then Gilbert missed his chance from 10 feet, giving the win to the former. In regulation, Coleman, 34, made six birdies and two bogeys, while Gilbert, 27, eagled the par-5 15th hole to go with five birdies and three bogeys. Coleman collected $650 from the $2,845 purse, $348 from an optional bonus pool and $204 from a skins game for a total of $1,202. Gilbert, second among 29 starters, received $450 from the main purse and $68 in skins. A big thank you to TourMARK grips for being a great sponsor of the Minor League Golf Tour. Any member of the Tour that wants to try one will recieve a TourMARK RD putter grip at any MLGT event through the end of April. If you win a MLGT event in 2017 with the TourMARK RD putter grip on your putter the MLGT will pay for your 2017 Web.com Q-School Contest entry fee ($200 value). 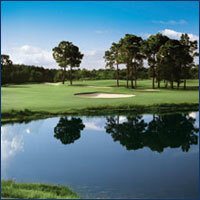 Next on the MLGT schedule: Wednesday, TPC at Eagle Trace, Coral Springs, and Thursday, Martin Downs CC, Palm City. 40% of the field earns a check. PGA Estates is not at the Main PGA National Campus. It is about 8 miles west of I-95 off Northlake Blvd.